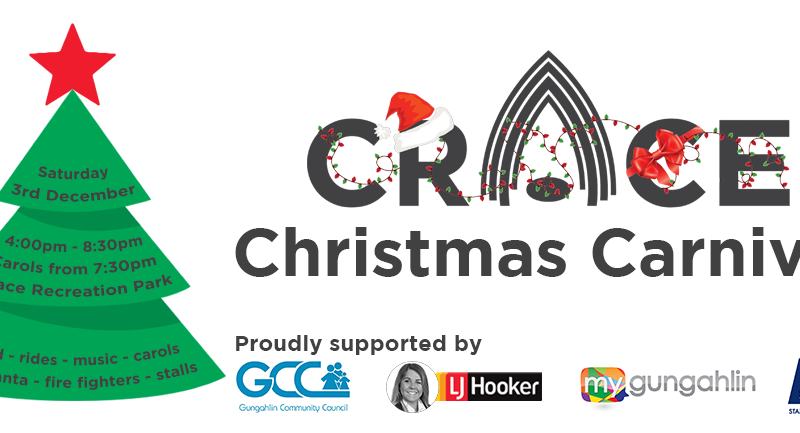 Following the overwhelming success of our inaugural event in 2015, Christmas in Crace is back! We’ve booked amusement rides, market stalls, live music, performances from local schools and groups, visits from the fire department, Mrs Santa, with more to come. The Crace Community Association is a volunteer driven non-profit group whose mission is simple – show Canberra that community is important. This event is not largely funded, and is only possible by the community coming together. Volunteers come out of the woodwork to help leading up to and on the day. Our Crace Landcare group helps with the next-day clean up. Some businesses provide their services for free, others donate items or vouchers to raffle away, many are involved on the day (and throughout the year), and of course, some sponsor us with cold hard cash. All money raised is spent furthering the community. Crowds in 2015 exceeded expectations, and things are looking bigger and better in 2016! This is a wonderful family event, run by the community, for the community. This is an inclusive event, and we would like to see as many people there as we can. Wherever possible, the entertainment is provided free, however some things do have a cost. Would you like to support this and other community events? Donate to the CCA at GoFundMe.